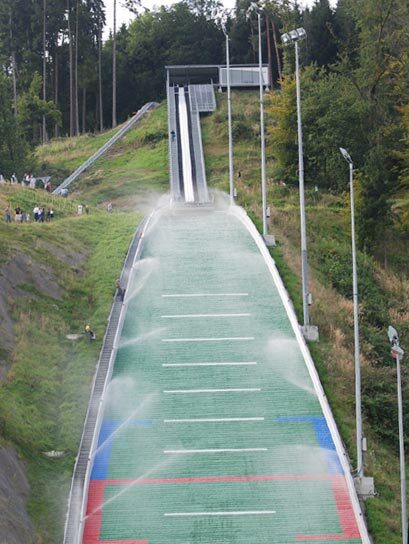 After more than four years of construction time and some intricacies the new ski jumping hill of Hinzenbach could finally be completed and was inaugurated in a great fashion. Thousands of spectators came to Danube on both days in order to cheer for the national titles of the Tyrolian team, as well as Gregor Schlierenzauer and Daniela Iraschko in individual competitions. 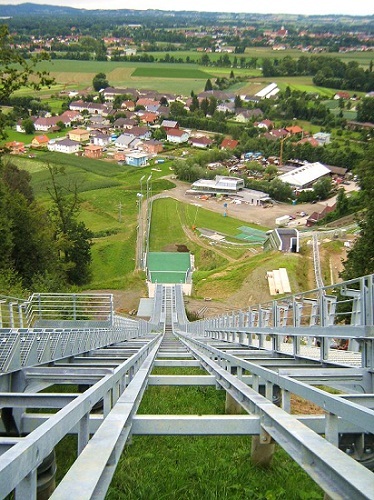 The first hill records on the K85 that is said to make jumps on 100 meters possible, were set up at 92.0 meters by Manuel Fettner and Daniela Iraschko. During the first test jumps in early September local hero Michael Hayböck already landed at 97 meters. A special technical detail of the HS 94 at "Energie AG-SkisprungArena" is its new SKI-LINE inrun trail which allows parallel use of an ice or ceramics trail. 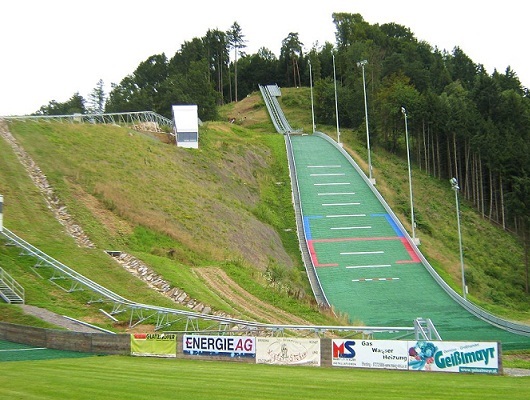 For instance the Austrian Chamapionships were held at an outside temperature of 20°C with winter conditions on an ice trail.